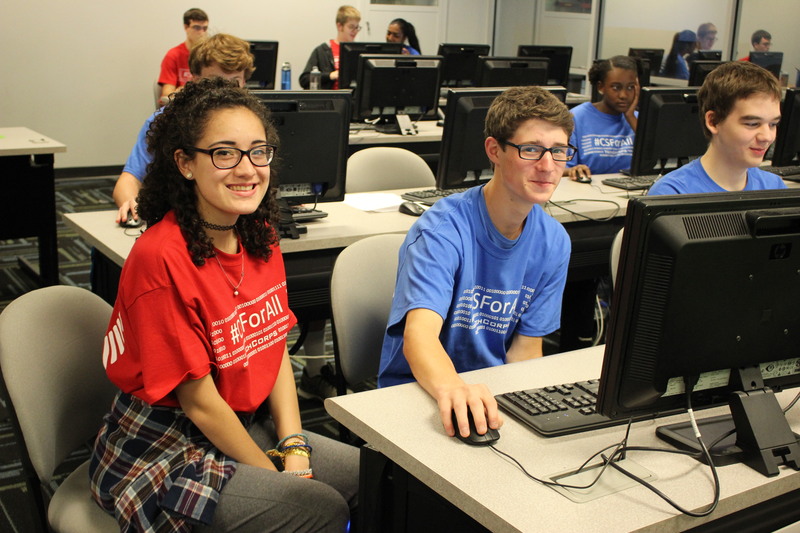 Leading employers and industry groups in Northeast Ohio have joined forces with RITE and TECH CORPS to deliver highly acclaimed High School Technology Camps to area high school students. The camps are designed to attract and prepare the next generation of IT workers by helping young people build the skills and knowledge employers need. These FREE summer High School Technology Camps provide students with a real-world, hands-on technology experience to solve real worlds problems and have a community impact. Students develop in-demand technical and 21st-century skills, connect with tech professionals from the region, experience a local college campus. Learn to develop blockchain apps in Solidity. Design and implement applications that have a community impact and solve real-world problems. For more information, contact Jamie Cole at jcole@ohiorite.com. For more information about TECH CORPS, visit this link. Tech Camps are sponsored by Bendix, Eaton, Hyland, NEOSIM, and The J.M. Smucker Company. Host schools include Baldwin Wallace University, Cuyahoga Community College, Kent State University, Lakeland Community College, Lorain County Community College, and The University of Akron.